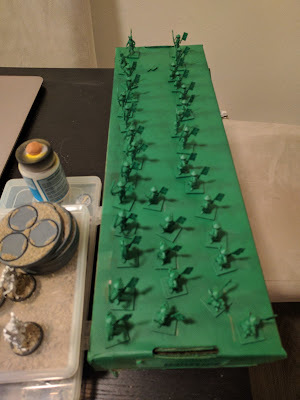 I am going to try some lighter green zenithal for these guys as a bit of an experiment in speed highlighting. 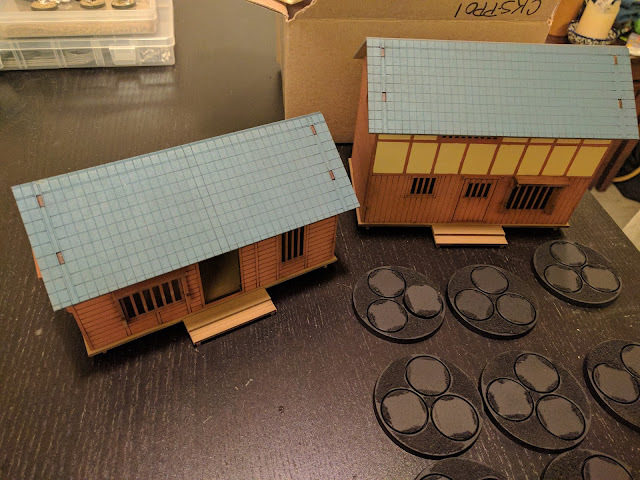 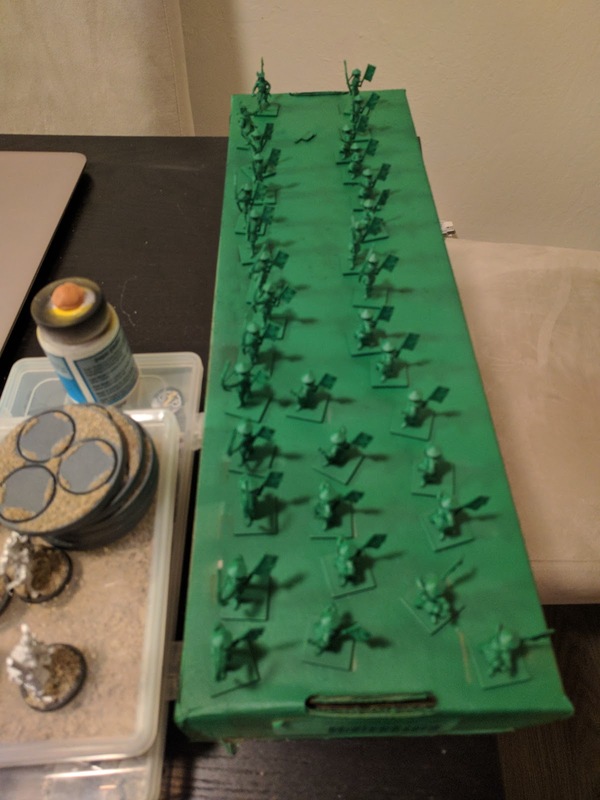 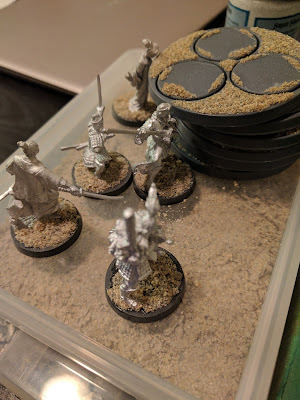 The contents of my preorder arrived while this post has been sitting in draft so I thought I would also drop in a couple of additional pictures of my fully painted scenery from Sarissa Precision (which Warlord Games is promoting alongside their game). The bases are the group bases used for groups of commoners. 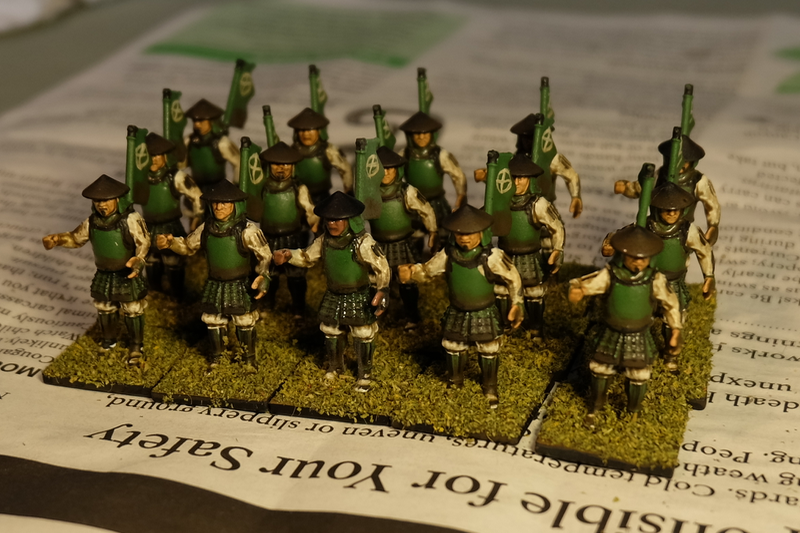 The bundle also contained a few fully metal figures which I have now based ready for washing and priming.